Tony Bellew says he cannot be beaten by Ilunga Makabu in Sunday's fight for the vacant WBC cruiserweight title. 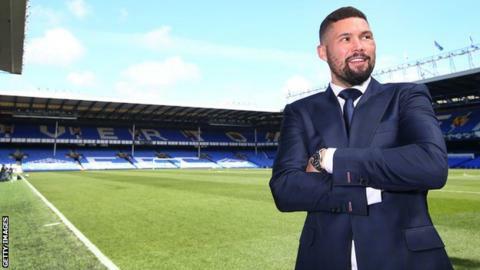 Liverpool-born Bellew, 33, told his opponent, there is "nothing he can do" to win the bout, despite the Congolese's record of 19 wins from 20 fights - 18 by knock-out. Speaking at a news conference on Thursday, Bellew said: "I don't think he's got more power than me. "I'll be the bigger man, I'll make it show and I am the real cruiserweight". Makabu, 29, said he would not be overwhelmed by the expected partisan crowd at Everton's Goodison Park. "People expect me to be scared of the occasion as the stadium will be full of his people cheering him and booing me," he said. "Tony must not wait for his people to get behind him to start fighting - as once we are in there, no-one can help him." Bellew, who has missed out on the WBC cruiserweight title on two occasions, added: "He's going to weigh in light, which will be a bad mistake. "The advantages he usually has in fights are through speed and power - he's normally faster than his opponents and punches harder than them too. In this fight, I don't think he'll have those against me. "Every fight I go into, when I hit them, they change. I'm a nine-gear, fat racehorse and they'll see that on Sunday."